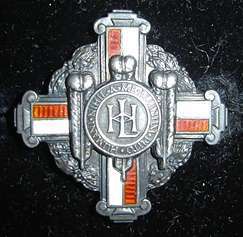 Fig 1; Inscription on side of British War Medal. 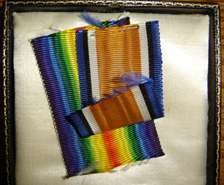 For some time, I have tried to purchase a set of World War 1 medals awarded to a nurse whose service records survived the cull of such records in the 1930's, each time I bid, I was unsuccessful. When this lot came up for sale in November, and I saw that the recipient's war service records had survived and were available to download from The National Archives. I paid £3.36 to do so and read them. I was delighted to see that Eva Luckes had signed Florence's contract sheet, so I had a good chance of finding that Florence had trained at the London Hospital. Generally, nurses' war medals in sets, with accompanying Royal Red Crosses, etcetera sell for large sums; these were a 'simple' Victory and British war Meal, with no paperwork; I was lucky and was the successful bidder. Whilst researching Florence's background via Ancestry, I have made contact with a great great niece of hers, who not only knew her, but also has generously allowed me to use all of the photographs in this article, including her photographs of her London Hospital badge. Fig 2 &3; Reverse and Front faces of medals awarded to Florence Yemm. Fig 4; Florence Mary Yemm; thought to be before her training in 1911. 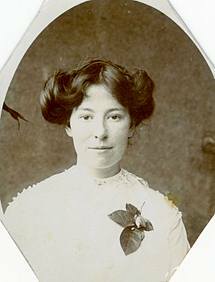 Florence was born on 12 March 1886, in 'English' Bicknor, Gloucestershire, she was the fourth child of six children born during eleven years to her parents Richard, coal miner and his wife Esther. Florence was the second of three girls, she had two older brothers, Joseph and Stephen and her oldest sibling was Esther, her youngest siblings were George and Ada. Fig 5 & 6; Florence's London Hospital badge, still in its original case, which she would have purchased after 1931, when the badge was first made in this size. 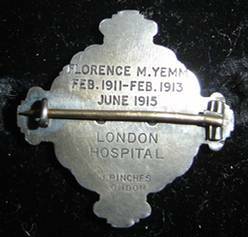 Fig 7 & 8; Florence's London Hospital badge case, with WW1 uniform medal flashes inside. Fig 9; (Lt): Florence, (Rt): Lt. Bathard, R.F.A. Fig 10; Florence is in the middle row, far left. Florence's Dispersal Certificate was altered to show that she served with ' QARIEF'; thought to be Queen Alexandra's Reserve Italian Expeditionary Force. 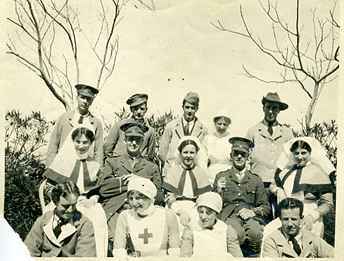 During her two years in Italy, she had two periods of leave home, in May 1918 and April 1919. 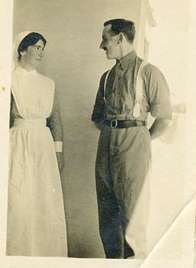 Fig 11; Florence left talking to a shy nurse! 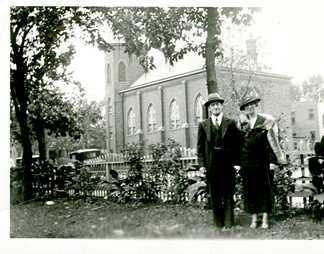 Fig 12: Florence with her brother, Reverend Joseph C. Yemm, in Chicago, Illinois in October 1934. Florence's father, Richard, died in 1921 and her mother, Esther, came to live with Florence in London. 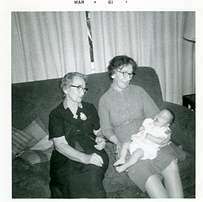 Figure 13: Florence (right), and her sister, Esther, celebrating a birthday with a Great Great Niece in December 1960. Fig 14 &15. 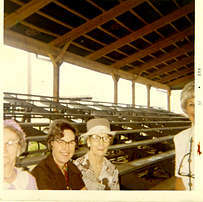 Figure 14: Florence at the fair with her niece, Eileen (Esther’s daughter), in 1974. Fig 15. Eileen, now age 97, lives in Cuba, Illinois, where Florence is buried. After Florence moved to the USA, she lived with her widowed sister Esther, and 'Occasionally did private duty nursing in the 1950s and early 1960s after she came to America, when she would have been in her 60s and 70s. (7) Florence died in December 1974. Fig 16 Florence's grave in the Cuba cemetery, Cuba, Illinois. 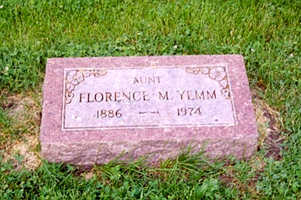 Florence is buried in the Cuba Cemetery in Cuba, Illinois; her sisters, Esther and Dollie (Ada Blanche), and her brother, the Reverend Steven E. Yemm, are also buried there. Florence's legacy as a nurse lives on, her family treasure her London hospital Badge, and other ephemera, her scissors are much treasured. Two other family members are also nurses, one still working one day per week as a nurse in America, aged 76. 1. Gloucester Journal South West, England03/05/1913. 2. The National Archives, Medal Card, TNA, WO 372/23/46427. 4. TNA, The General Nursing Council, Register of Nurses DT10/59, pg1. 5. 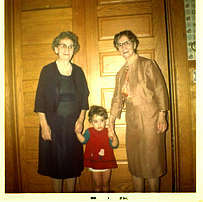 Ancestry.com, accessed 13th January, 2013; Florence's Families Oral History. 6. The Royal London Hospital Archives, LH/N/1/17, Register of Probationers no 17, pg 128.
of Nursing Supplement, 22nd May 1915, pg 455. 8. RLHA, LH/N/5/26, London Hospital Private Nurses Institute, Register of Nurses1914, Vol26. pg 69-70. 9. 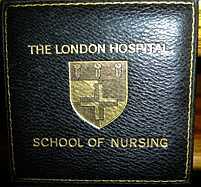 The term 'Londoners' is used to this day, and is the name given to all nurses who trained at The London Hospital. 10. TNA, War Office Records, 399/9313, Yemm, Florence. 11. 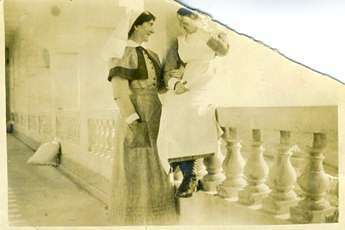 MacKinnon A G, 'Malta, the nurse of the Mediterranean', London 1916. 12. http://www.maltaramc.com/ramcoff/1910_1919/ramcoff1916.html, accessed 16th February 2014. 13. http://rcnarchive.rcn.org.uk/data/VOLUME048-1912/page248-volume48-30thmarch1912.pdf, pg 248, accessed 16th February 2014. 14. RLHA, Database of Nurses, accessed 10th February 2014. Book of the Management Committee, 1924-1932. 16. Members of QAIMNS, 'Reminiscent Sketches, 1914-1919', London, 1922, pg 13. 17. Members of QAIMNS, 'Reminiscent Sketches, 1914-1919', London, 1922, pg 23. 4- 16, Copyright Terri Jensen. with many thanks to: The archivists at the Royal London hospital Archives, Jonathan Evans and Richard Meunier, my dear husband Harry, Will Burgess, for proof reading and editing and not least to Florence's family for sharing their rich archives. I also have a picture of her friend, known to us only as “Clarkie” (perhaps her last name was “Clark”; she could be one of the names listed above, and she may or may not have been a nursing colleague), who was killed during the Blitz. Aunt Flo was very sad about that. Sarah Rogers - March 2014.